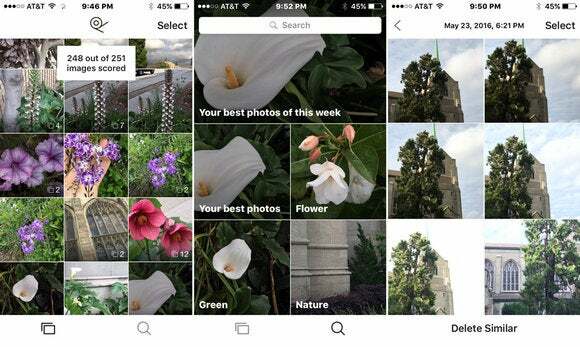 EyeEm’s free app rates, ranks, and tags your photos so you don’t have to. Attention iPhone shooters: Just because you feel compelled to take 100 shots of your favorite local band’s holiday concert or that cute duck family in the park doesn’t mean locating the image you want or endlessly scrolling to find the best one to share on Facebook, Twitter, or Instagram won’t give you a massive migraine. It will. That’s where The Roll (free on the iTunes Store), a new iPhone app from EyeEm comes in. The Roll is designed to save you time and effort by automating the curation and organization of all the photos in your Camera Roll (The Roll—get it? ), from scanning and tagging to quantitative quality ranking. The Roll offers a helping hand in deciding which ones to keep and ditch. The best photo, according to the app’s proprietary algorithm, always lands on top of the stack of similar ones, each accompanied by an “aesthetic score” of between 0 and 100. That helps you select which photos to share and also to lose. The Roll works its magic with its proprietary image recognition technology, EyeEm Vision, which automatically tags and scores your photos and organizes images by topic, location, and event. The algorithm, based on computer vision and trained by millions of images, recognizes not only content but mood and emotion, which it uses to generate keywords. Browse your collection by tapping on a tagged image collection or searching via keyword. At launch, the app recognizes and tags some 20,000 keywords. 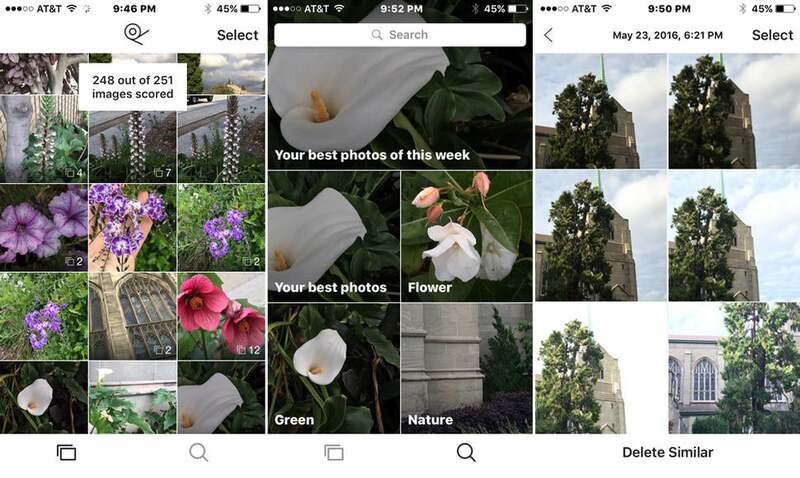 As the app continues to analyze additional photos, it promises to improve accuracy. 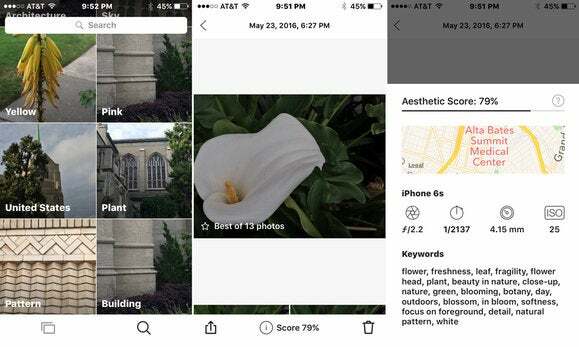 In addition to using artificial intelligence to generate keywords, the app also records metadata regarding your shots such as aperture, ISO, shutter speed, and focal length, plus a tiny map pinpointing location. Some users have voiced privacy concerns, and for good reason. For the app to do its job of tagging and rating, your images must touch base with EyeEm’s server. While some users undoubtedly would prefer that analysis take place directly on the device, EyeEm vows that only small thumbnails are uploaded to its servers, where they are processed, and then promptly removed and that transmission to and from the server goes via encrypted https protocol. EyeEm says no actual humans see your photo. The servers themselves were fairly speedy, with my Camera Roll of 250 new photos taking just over two minutes to process. 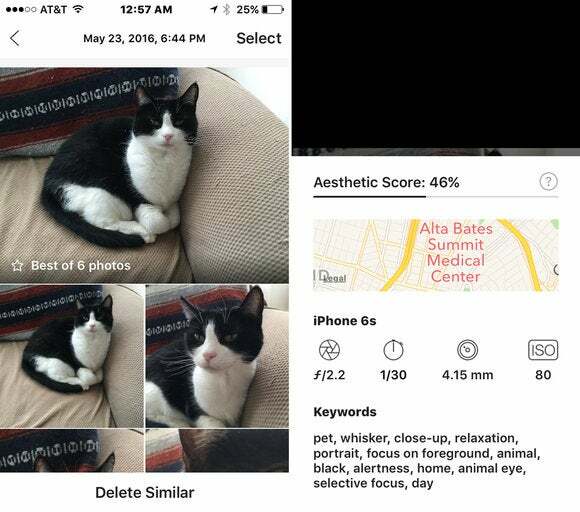 While the built-in iOS Photos app classifies your images according to geolocation, date, and time, it eschews qualitative judgment on subjective quality issues like lighting, composition, focus, and subject. For must people, discerning the difference between nearly identical shots and scouring multiple shots on a small screen for fine details or color gradations remains a challenge. Overall, The Roll was helpful in either pointing me in the right direction or at the very least offering an alternative point of view. That said, I often disagreed with—or did not see the logic in—some of The Roll’s picks, and aside from the rating, there’s no hint of why or how the app came to its conclusion. It never divulges why some images carry a higher rating than others. 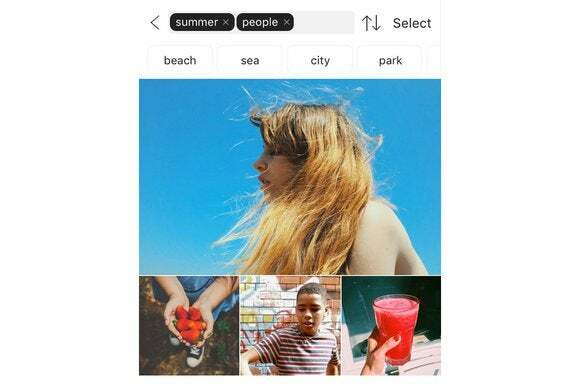 According to EyeEm, the methodology of ranking photos is generally a combination of artistic photography principles combined with its deep-learning technology, but there’s no explanation for specific individual photos. With this debut, users should be aware of a few things. First, you must be connected to a Wi-Fi network to use The Roll. Second, the app sees only images directly in the Camera Roll folder of the iPhone’s Photos app—not in other albums you may have stored on your iPhone. For example, I tried importing a batch of photos via iTunes into the camera app for a test, but The Roll would not recognize those photos, as they were not added to the Camera Roll, but to different albums. The keyword function was strong overall, but while the keywords were abundant, they sometimes seemed vague. For example, a picture of my cat was tagged as “pet, animal, whisker, animal eye” and more. The one thing it did not list was “cat,” which is unfortunate because that would be my search term. The Roll is free and available on the iOS app store. It works on the iPhone and iPad right now, but even with an up-to-date operating system, I found iPad operation buggy at best. You have nothing to lose, and perhaps some insight to gain, in giving The Roll a try. It’s very easy to use; all you need to do is launch the app and it takes care of the rest. Its keywording skills are laudable, if not perfect, and that alone is worth the price of admission. As for choosing the best photos from your collection—that was sometimes hit or miss—but its third-party neutral perspective was nonetheless intriguing. As a brand new release, The Roll’s debut is auspicious, but it still has a way to go to accomplish the goals to which its creators aspire. 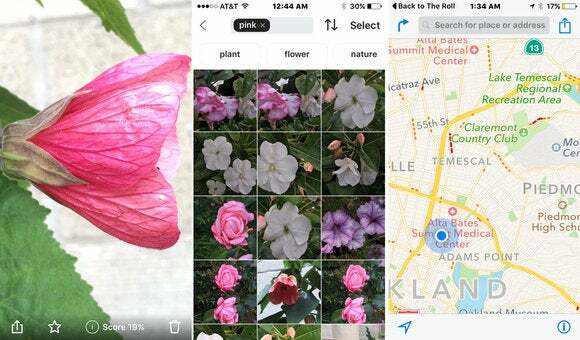 iPhone app uses AI to automatically create keywords and records metadata for your photos.